Kathleen Meaney is a designer and educator whose writing has been published through the AIGA, UnderConsideration, Icograda and Design Observer. She began her career at Pentagram in New York, and since then, has been a dedicated professor at the School of Visual Arts, North Carolina State University, the University of Cincinnati and Virginia Tech. Her course offerings have been cited in NASAD’s “The Future of Design and Design Education” and her current research explores the reinterpretation of the history of typography. Find Kathleen in HOW Books’ Women of Design and Chronicle Books’ Design School Wisdom. Taekyeom Lee is an Assistant Professor at Appalachian State University. 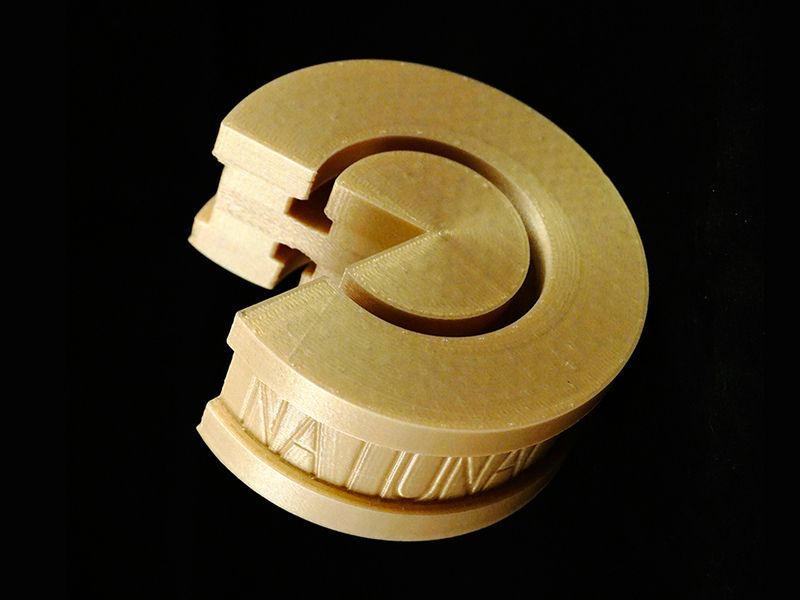 His research explores new methods of creating handmade type and graphics through an interplay between design fundamentals and craft techniques (like ceramics). His investigations respond to an increase in the dematerialization of type as well as a form of criticism towards the dominance of computer-generated design. His research, however, is not solely focused on typography but also explores diverse areas of interests and experiences. 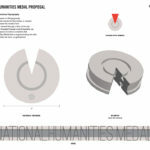 In 2013, the National Endowment for the Humanities (NEH) held a competition to redesign its National Humanities Medal. And as competitions go, only one design is selected. 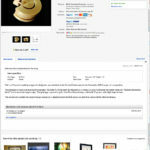 Speculative work is wasteful at times, as most submissions never get realized. But what if there was another forum to bring these ideas to life? 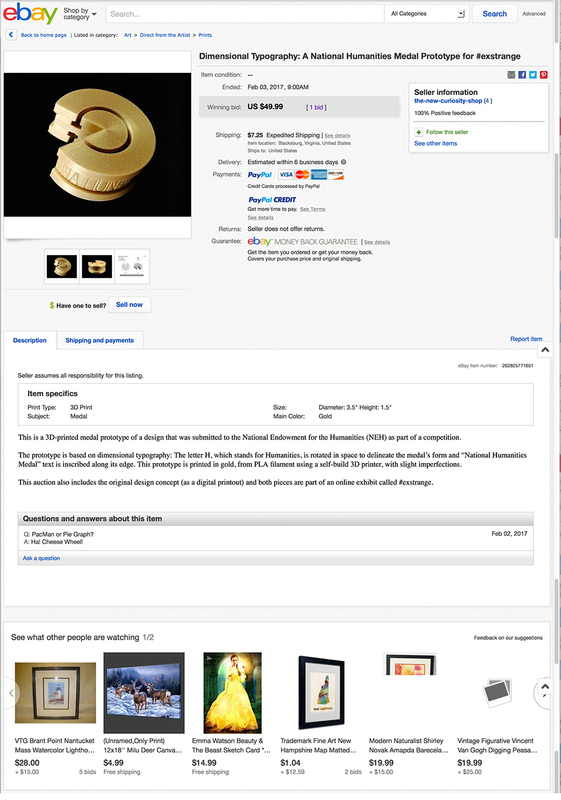 The design in this auction was submitted, in concept only, to the NEH. 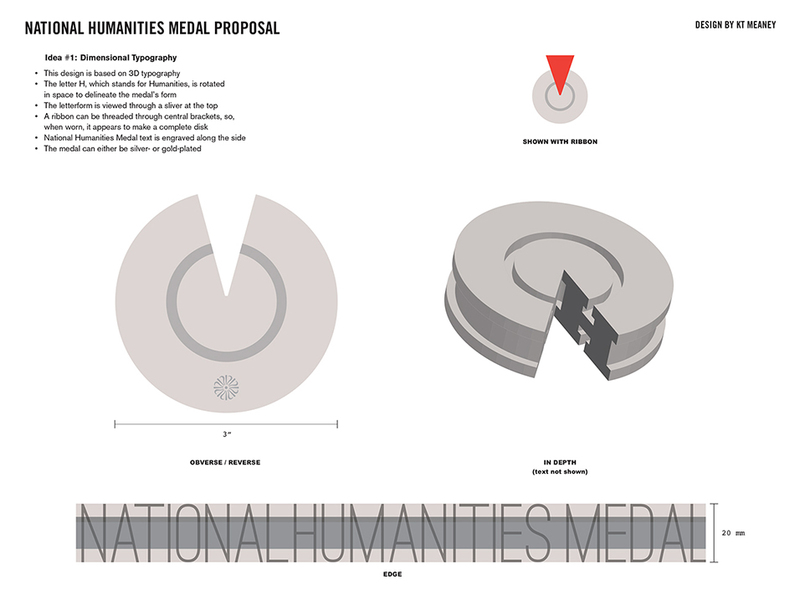 The idea was based on dimensional typography: the letter H, which stands for Humanities, is rotated in space to delineate the medal’s form and “National Humanities Medal” text is inscribed along its edge. The medal had never been realized, until now. 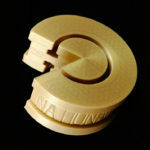 Kathleen Meaney worked with Taekyeom Lee to output the form on a 3D printer using gold PLA filament. 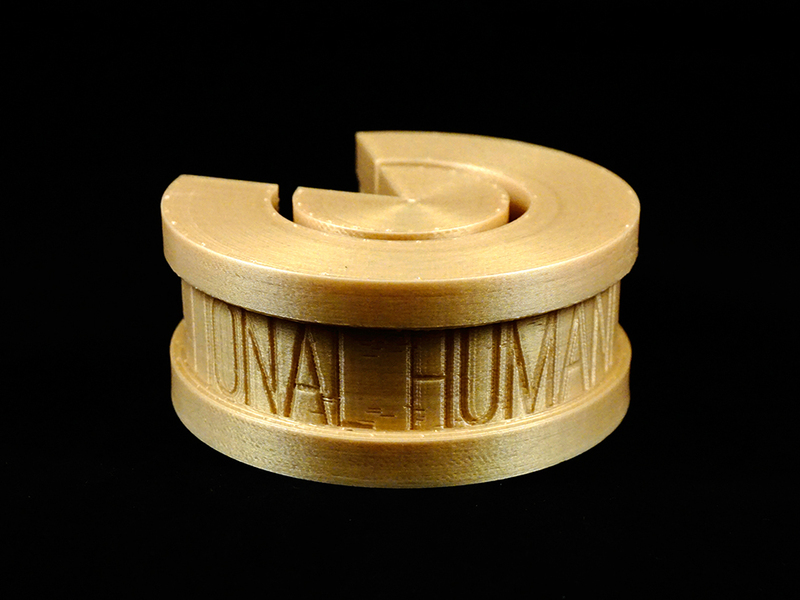 Lee, a designer who specializes in 3D ceramic typography, was able to turn a concept into something concrete, and speculative design into something you can hold. 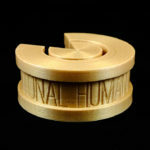 This medal (both design and prototype) now exists as part of the online exhibit #exstrange.